From the President: How do you say hello? My family and I hosted our international students at our home for dinner last week. 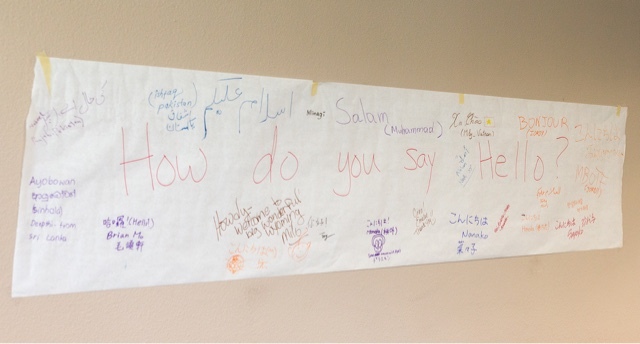 The students all signed the following poster with how they say hello in their language.